I TELL YOU ABOUT THE ARCTIC LIGHT. 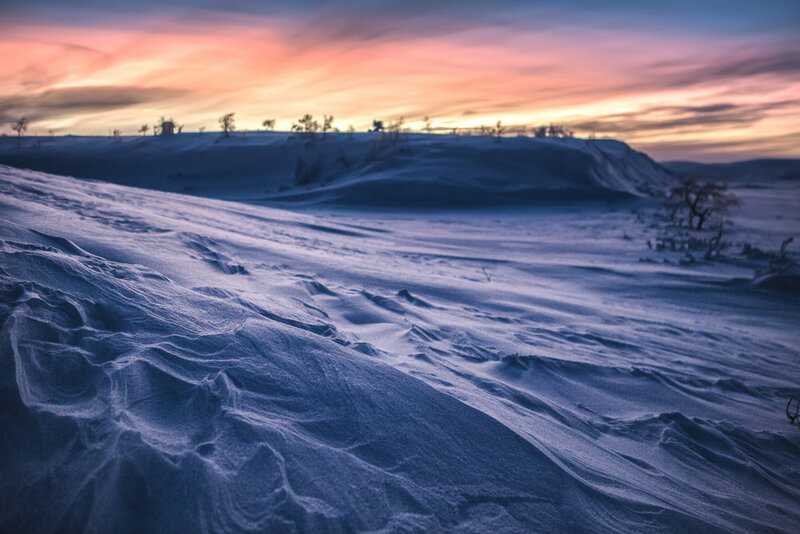 WHERE AND WHEN IS THE BEST TIME TO PHOTOGRAPH THE ARCTIC LIGHT DURING THE WINTER. Polar night statistics from 2016, days may vary a bit annually. 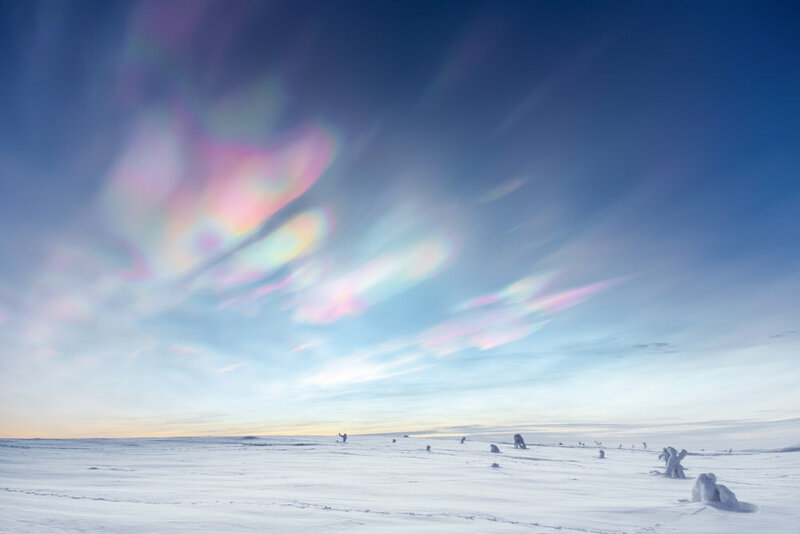 HOW TO GET MOST OF THE ARCTIC WINTER LIGHT? 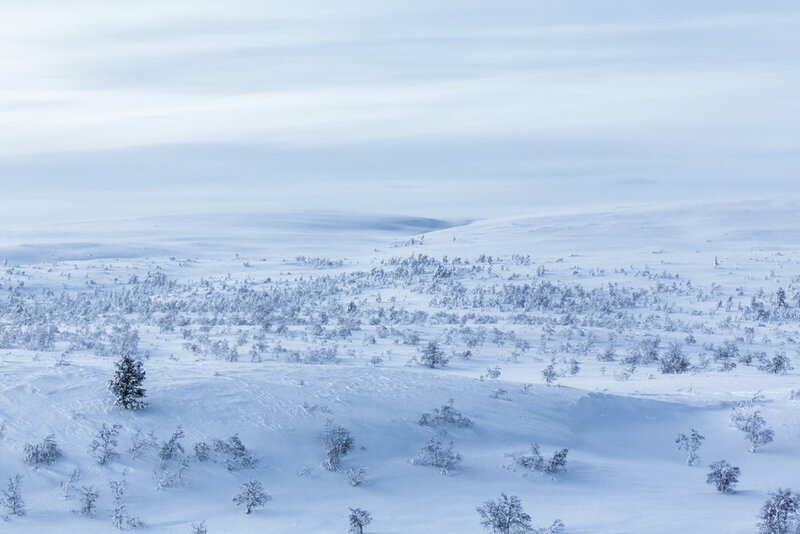 If you have the time, first explore the Southern Lapland and then take a trip to the Northern Lapland after the polar night. 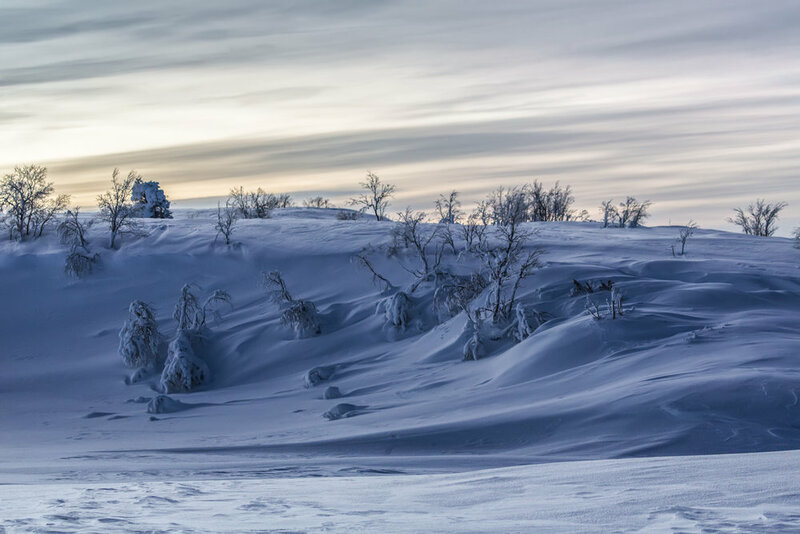 Alternatively, you can plan your trip to a location where you can experience the last days of the polar night and the first sunny days after it. You can also plan your trip to a location with 2 to 6 hours of daylight. When the day length is just a few hours, you will have the continually changing amazing arctic light. Even if there are clouds, you'll still have enough light for a daytime photo shoot. I love the short days because you can have a sunrise and a sunset in the same set and even continue to shoot night scenes, and all that before 9 PM. 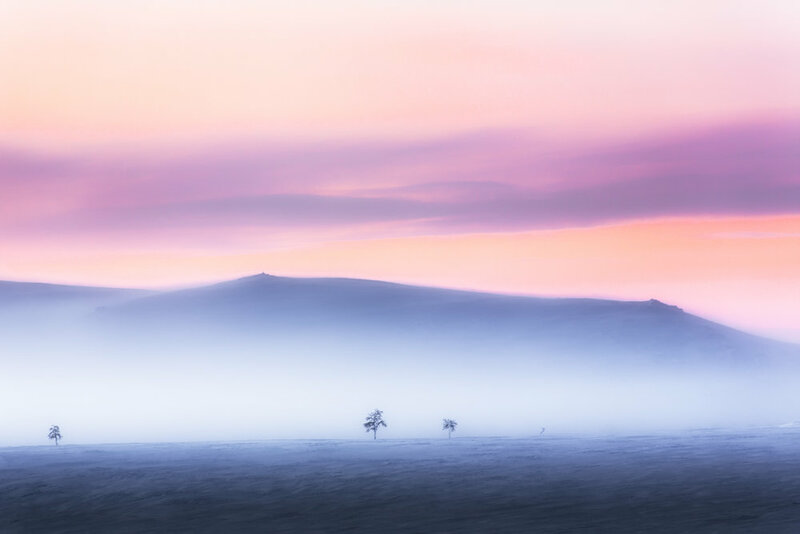 When the days get longer, you'll need to wake up earlier to shoot the sunrise, and there are the dull hours of white light before the sunset. Best time to shoot the arctic light below polar night line is from mid-December to the end of January. 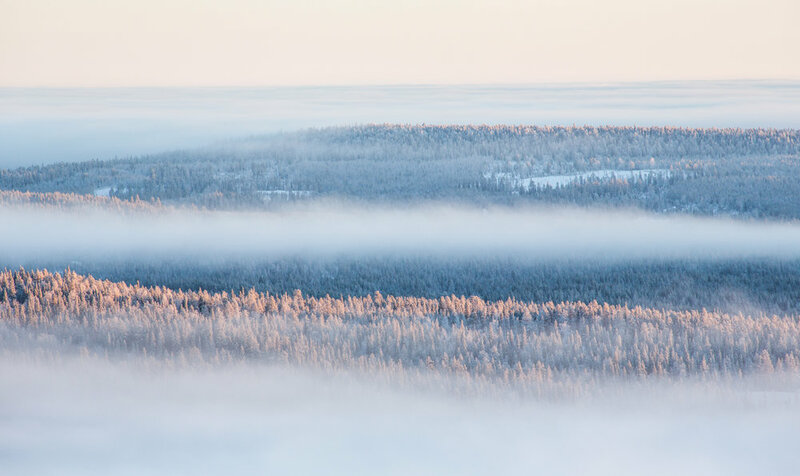 Example Images from Southern Lapland shot in December and early January. SHOOTING AFTER THE POLAR NIGHT. 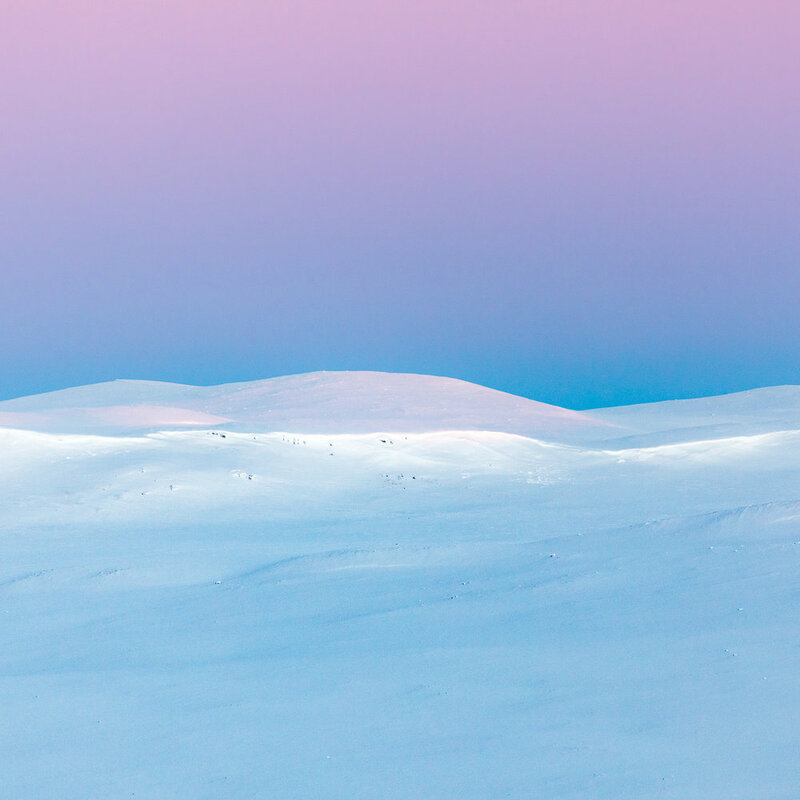 Ultimately the best time to shoot the northern Lapland's winter landscapes is the first weeks after the polar night. The light is the most epic when the day length is about 2 to 6 hours. At that time the light is evolving every minute, and there are a so many hues in just a few hours. 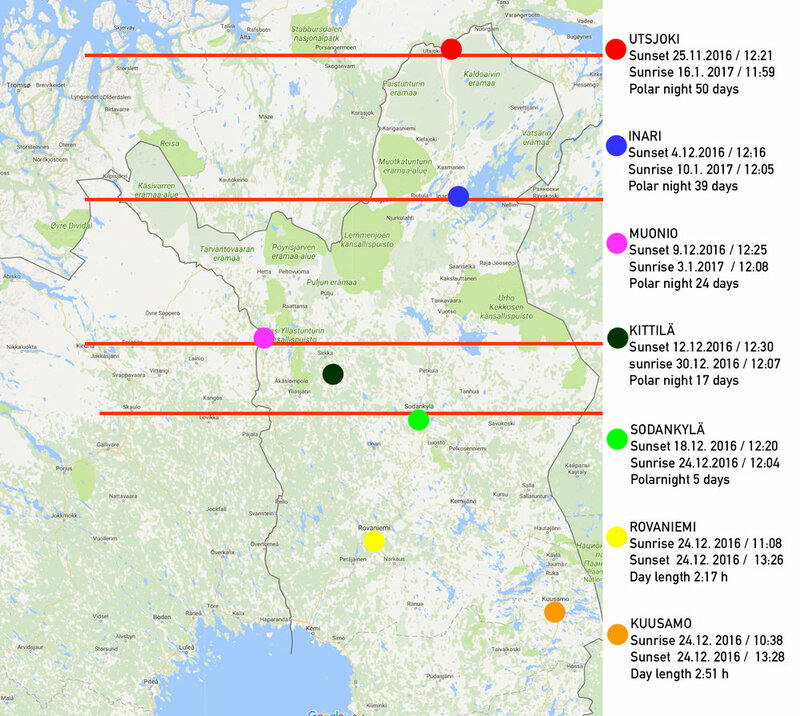 You kind of have the same light conditions two times, first in Southern Lapland when the north is under the polar night, and once the south is getting too bright, you go up North and have the same light once again. 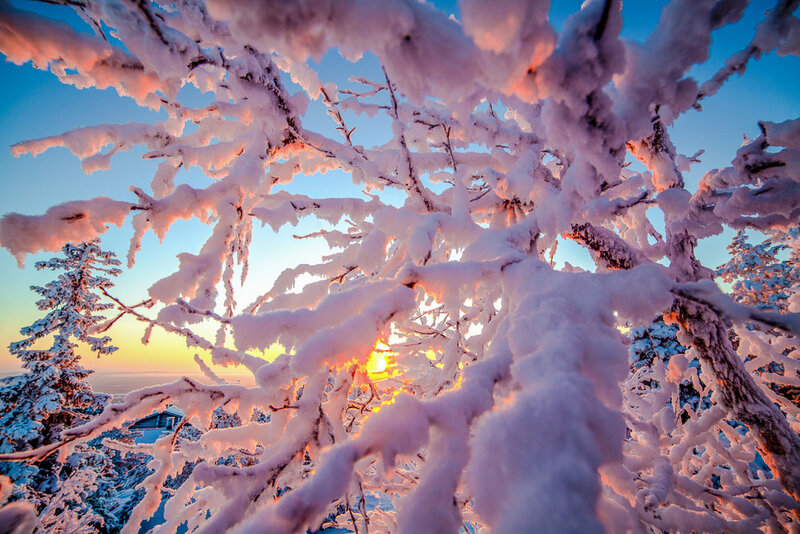 Depending on your location, the polar night begins and ends in different time. Use day length calculator to plan your photographic trip. The light will be still good for weeks after the polar night, but when the days get longer, you have more time between sunrise and sunset. On the other hand, then there is more time to explore the area and find the best spots. 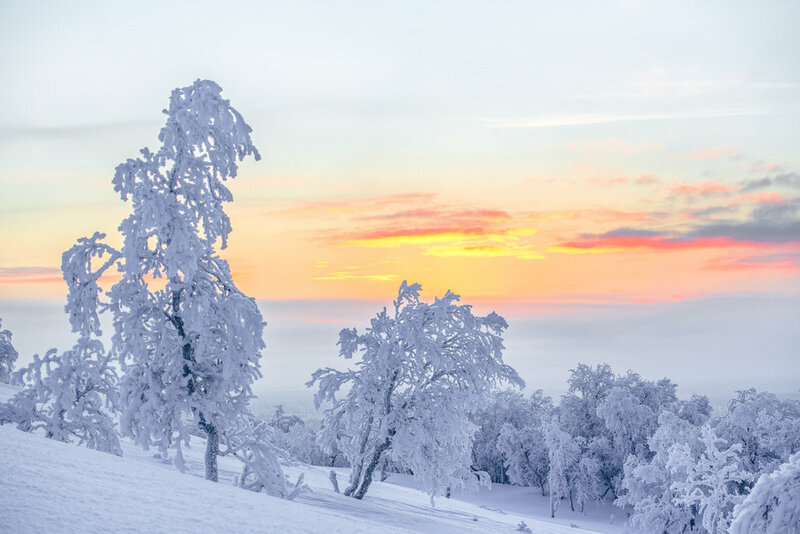 Example Images from Northern Lapland in the first weeks after the polar night. The arctic light is at it's best when the day length is about 2 to 6 hours. 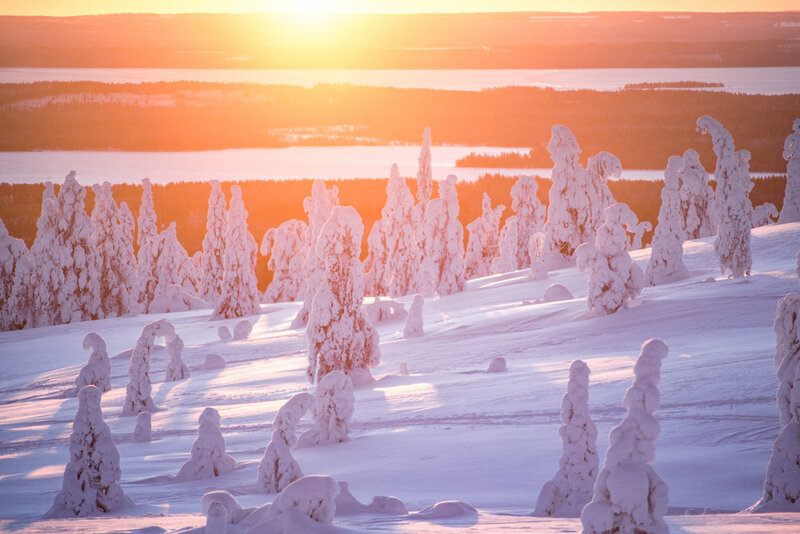 Southern Lapland offers the best light from mid-December to the end of January. 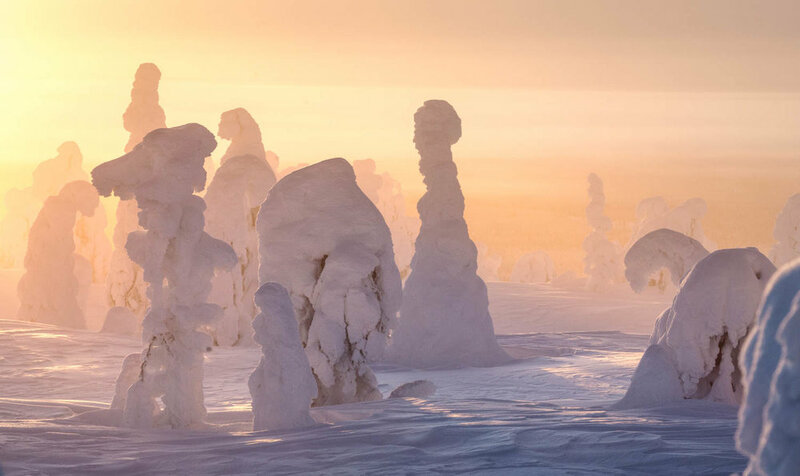 Northern Lapland provides the best light after the polar night. 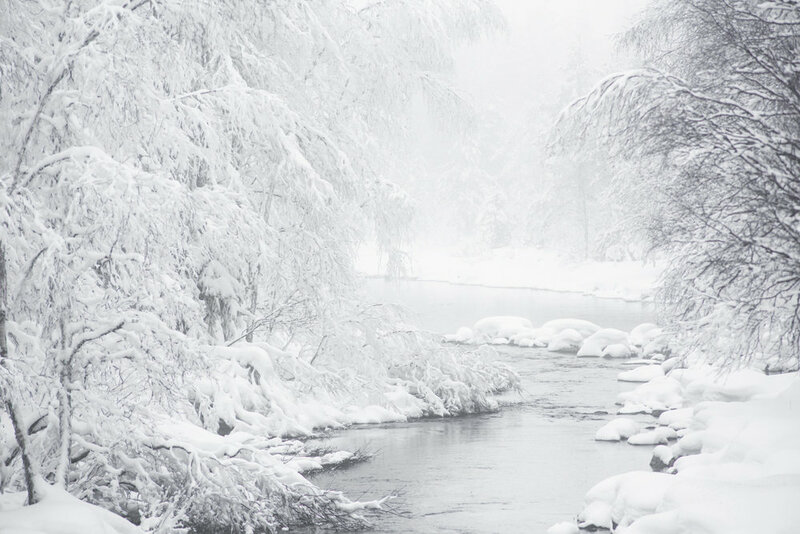 Check out the day length calculator for when the polar night ends. National parks are easy to access during winter time with snowshoes, skis or even with a fat bike. Access to wilderness areas is challenging during the winter time, and local guidance is essential in most cases. Feel free to ask my help for finding the right guides. Feel free to like comment and share. Newer PostPhotographing the Ice falls in Korouma nature reserve.